I offered myself some products from Heroine Make recently and among them was the Impact Liquid Eyeliner N. It attracted me with the beautiful package, and the nice price of only 1.080yen. 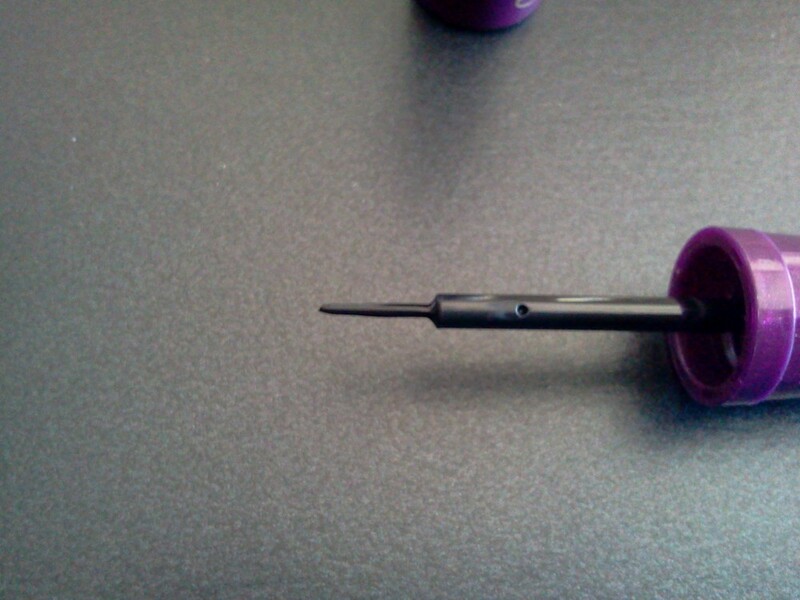 As usual from the brand, the package is good looking, with purple colors, and the eyeliner has a nice shape. Anyways, the jet black is intense, giving a very good and deep look. The brush can be hard to use for beginners, you have to be painstaking but after some use it becomes easier. What I love the most about this liner is the staying power. It is wonderful if you have a long day, as it stays the way you applied it all day long! 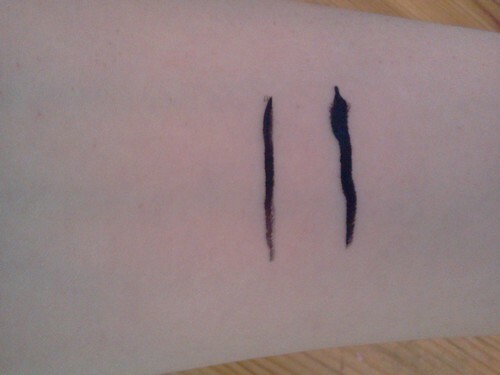 Plus, it is super waterproof and endures water, sweat, frictions… I had a long walk recently and I had a lot of sweat so I feared my eye makeup would look awful at the end, but this eyeliner stayed liked if I hadn’t made any movement. Wonderful! But there is a also a turn up to this ultra endurance, as you’ll need a very good eye makeup remover. Because it won’t be removed easily even with several tries. Anyways, this con doesn’t remove that I love this eye liner and it became one of my must have products! Highly recommending it.